Buzz earned his bachelor’s degree in accounting from Clarion University. One of the original principals of Felix and Gloekler, P.C., he has a professional concentration in the areas of auditing non-profit and government clients, small business planning, and corporate and individual tax preparation. Buzz is a member of the American Institute of Certified Public Accountants, the Government Audit Quality Center, and Association of Certified Fraud Examiners. He is also a member of the Pennsylvania Institute of Certified Public Accountants where he is active in both local and state committees and was formerly Erie Chapter president. Buzz has served as a director and treasurer of several non-profit and church related organizations in the area. You can also see Buzz Felix on LinkedIN. Jim earned his bachelor’s degree in accounting from Gannon University in Erie, Pennsylvania. After completing his study, Jim decided to go right into the field of accounting. One of the original principals of Felix and Gloekler, P.C., he has a professional concentration in auditing non-profit and government clients, tax planning, small business planning, and individual and corporate tax preparation. Jim is a member of the American Institute of Certified Public Accountants, the Pennsylvania Institute of Certified Public Accountants, the Government Finance Officers Association, Association of Certified Fraud Examiners, and Association of Certified Forensics and Financial Reporting. James Gloekler is from Millcreek Township in Erie County, PA and has an active role in the community. He has also volunteered for many years on the Finance Committee of his church. You can also see James Gloekler on LinkedIN. Natalie earned her bachelor’s degree in accounting from West Virginia University. She started as a staff accountant for the firm in 1991 and was promoted to principal in 2009. Natalie is also the firm’s quality control partner. Her professional concentration is in the auditing of non-profit and government clients, as well as employee benefit plans; small business planning, and corporate and individual tax preparation. Natalie is a member of the American Institute of Certified Public Accountants and Pennsylvania Institute of Certified Public Accountants, the Employee Benefit Audit Quality Center, and Association of Certified Fraud Examiners. Natalie has been a certified Quickbooks advisor since 2002. Steve earned his bachelor’s degree in accounting from Penn State Behrend. Steve started with the firm as an intern in January 2005 and became a full time staff accountant in April 2007. Steve became a certified public accountant in 2011. Steve is involved in the audits of our non-profit and government clients, as well as the tax preparation for our corporate and individual clients. He also assists in setting up bookkeeping for small businesses. Steve is a member of the American Institute of Certified Public Accountants and Pennsylvania Institute of Certified Public Accountants. Chris earned his bachelor’s degrees in Accounting and Psychology from Penn State Main Campus. He started with the firm as an intern in May 2011 and became a full-time staff accountant in October 2013 before becoming a certified public accountant in April 2014. Chris was promoted to Senior Accountant at the beginning of 2015 and then to Supervisor at the end of 2018. Chris manages several nonprofit, government, private company, and employee benefit plan audits in addition to assisting with review and compilation engagements. Chris specializes in nonprofit and private company accounting and provides CFO level consulting services focusing on accounting process efficiency, internal controls, budgeting, and profit maximization. Chris also prepares individual and business tax returns for our clients and is a member of the Pennsylvania Institute of Certified Public Accountants. Dave earned his bachelor’s degree from Gannon College in 1973. He began his career in accounting and tax with the Internal Revenue Service. After seven years with the IRS he joined a local CPA firm as a staff member and became a shareholder in the firm in1986. He left the firm in 1991 and started his own practice providing accounting and tax services to individual, small business, and not for profit clients. Dave has been an active member of the Pennsylvania Institute of Certified Public Accountants. He has served as president of the Erie Chapter and on many chapter committees. At the state level, he was elected vice president of the PICPA in 2005, served five years on council and two years on the state society’s executive committee. Most recently, Dave served on the state’s communication committee. 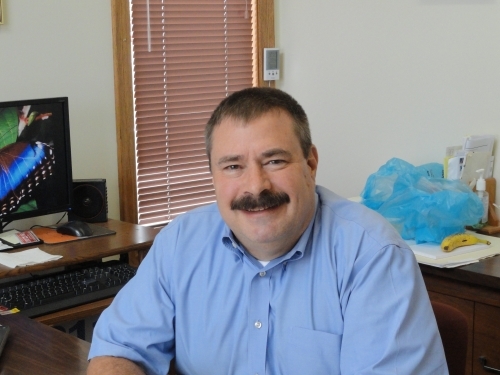 Dan earned his bachelor’s degree in accounting from Edinboro University. 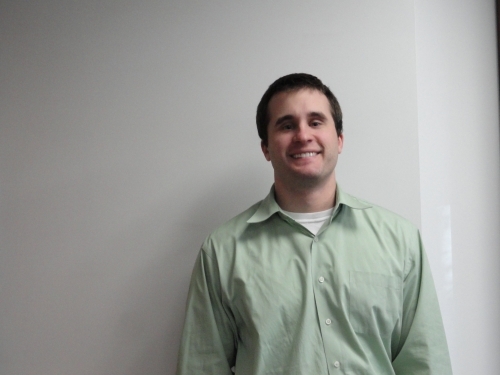 Dan started with the firm in January 2011 as a full time staff accountant and was promoted to Senior in January 2014. Dan is involved in the audits of our non-profit and government clients, as well as the tax preparation for our corporate and individual clients. Mary Kate earned her bachelor’s degree in accounting and finance from Grove City College. She started with the firm in January of 2017 and became a Certified Public Accountant in March of 2019. Mary Kate is involved in the audits of our non-profit and government clients, as well as the tax preparation for our corporate and individual clients. Mary Kate is also a member of the Pennsylvania Institute of Certified Public Accountants. Amy earned her bachelor’s degree in accounting from Penn State University. She originally started with the firm in January 1998. Amy took a hiatus from public accounting for several years and worked in Local Government Accounting before returning to F&G in February 2017. Amy is involved in audits of our non-profit and government clients, as well as tax preparation for our corporate and individual clients. Vince earned his bachelor’s degrees in Accounting and Finance from Gannon University in 2016 and started with the firm in July 2017 as full-time staff accountant. Vince focuses on our non-profit, local government, and employee benefit plan audits in addition to preparing tax returns for our corporate and individual clients. Nathan interned with F&G while earning his bachelor's degree in accounting from Penn State Behrend. Upon graduating in May of 2017, he came on board full-time as a staff accountant. Nathan is involved in audits of our non-profit, local government, and employee benefit plan audits. He also assists with preparing both individual and corporate tax returns. Zack earned his bachelor degree in accounting from Penn State Behrend. He started with the firm as an intern in January of 2016 and became a full-time staff accountant in January of 2018. Zack is involved in audits of our non-profit, local governments, and employee benefit plan audits. He also helps in the preparation of personal and business tax returns. Carol started at F&G in January of 2000. In addition to being our Office Manager, Carol provides regular payroll tax preparation, bookkeeping, and QuickBooks consulting services to several private companies and nonprofit organizations. Carol is known throughout the office as the Jill of trades due to her expansive skill set and problem solving abilities.